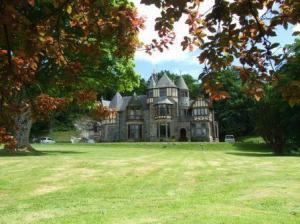 Choose from 33 hotels and guest houses in Argyll and Bute. Shown below a just a selection of the hotels available. To search within an area please use the menu on the right. With a magnificent position overlooking the Sound of Mull, this hotel offers bedrooms and public areas with stunning views. The newly-opened swimming pool and spa (March 2008) enables you to relax and get away from it all. Conference and meeting rooms are available. 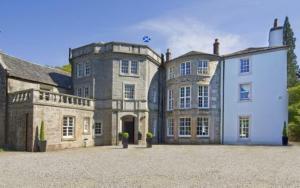 Awarded 3 stars by the AA and Visit Scotland, the hotel also has a lounge bar, a whisky bar and a restaurant. The 3-star St Ives Hotel is situated on the traffic free West Bay with magnificent views of the Firth Of Clyde. We are only minutes from the town centre and offer the ideal waterfront setting for an affordable short break. Guests are assured of a warm and friendly welcome from Matt and Sandra in this beautiful cosy Victorian hotel. St. Ives has been in the same family since 1983 and guests return year after year to enjoy the service and hospitality the hotel provides. We offer a varied menu that is changed daily, with local produce used for those special Scottish dishes. Vegetarian and alternate diets can be catered for. The hotel has a residential licence for those guests who wish to have drinks with their meal or to relax in the comfortable lounge, which has splendid views of the bay and garden. The tastefully decorated rooms are en suite or with private facilities. All rooms have television, radio, direct line telephone, hairdryer and complimentary tea and coffee. Glenavon is a family home within 10 minutes' walk of Oban town centre, offering rooms with TV and DVD players. All bedrooms at Glenavon share a bathroom and offer tea/coffee and a radio alarm clock. A continental breakfast can be provided in your room for a small additional cost (although this must be booked in advance). There is a limited amount of private parking to the rear of Glenavon. With stunning views out over the bay to the isles of Kerrerra and Mull from its position on lower Oban Hill, this traditional stone-built Victorian villa enjoys a peaceful yet central location. Only a 5-minute walk from Oban's town centre, the promenade and all of the amenities, the family-run Blair Villa is renowned for providing quality bed and breakfast accommodation at great-value rates. All of the 3 bedrooms are situated on the first floor and are tastefully furnished and equipped with en suite facilities. Each room has a TV, tea/coffee making facilities, a hairdryer, a trouser press and a small refrigerator. A choice of breakfasts is included in the price. Whatever you have planned, the generous and tasty breakfast is a great way to start the day. In addition to the attractive dining room with individual tables, there is a residents' drawing room on the first floor, ideal for enjoying the excellent views or for quiet relaxation. 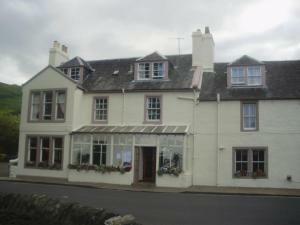 A traditional, family run Argyll Inn built in the Victorian era, located near to the shores of Loch Melfort. The Cuilfail Hotel has a long tradition of offering highland hospitality to visitors who wish to relax in the peaceful Lorne area, a beautiful part of Argyll. In a quiet, beautiful setting, this elegant country house offers luxurious en suite hotel rooms and delightful self-catering cottages in lush, mature grounds and gardens. Close to Loch Creran and just 10 miles (16 km) north of Oban, the heart of the west coast of Scotland, Barcaldine House & Self-Catering Cottages are set in stunning Argyll countryside. Dating back to 1709, Barcaldine House is rich in historic character and traditional charm. The house boasts spacious en suite rooms, a well-stocked lounge bar, sumptuous lounges and a stunning oak-panelled billiard room. Free wired internet is available in the rooms. The outstanding restaurant serves superb Scottish cuisine, made using the freshest, finest local produce. The self-catering cottages are set in the grounds, surrounding a bright, colourful courtyard. With all the freedom, independence and convenience of your own cottage, you can enjoy full use of the hotel's facilities, including room service, the bar, the restaurant and the billiard room. Immersed within the spectacular scenery of Argyll's picturesque hills, this 65-bedroom hotel boasts an elevated position with magnificent views over Clyde and towards the isles of Cumbrae, Bute and Arran. Known as 'The Gateway to the Highlands', Dunoon presents itself as the ideal base from which to explore the natural beauty of the surrounding areas. If you would prefer to stay closer to home, McColl's is only a 5-minute walk away from Castle Hill, with its statue of Highland Mary - Robert Burns' great love. In the evenings you can sample McColls famous hot buffet, served in the Lamont & Lauder Restaurant. Then you can unwind with entertainment and dancing in the Ballroom, with spectacular shows and a live band every night. Abbots Brae is known as a luxurious home away from home, positioned high amid a woodland garden, with sensational views over the Firth of Clyde. The lovely small, family-run hotel is surrounded by some of the most breathtaking scenery you will ever see. The spacious bedrooms are individually named after places within the stunning Cowal Peninsula. With a great location on the banks of Loch Lomond, the Colquhoun Hotel is now under new management and offers free parking, free Wi-Fi and fresh, locally sourced food. Now managed by Bravara Management Limited, the Colquhoun Hotel is going through an exciting time of change. 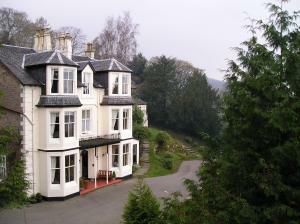 The hotel offers comfortable and well-appointed en suite rooms in the heart of Luss on the shores of Loch Lomond. The dining room offers a table d'h?te menu and the relaxed public bar serves drinks and bar food. All of the tasty food is made using locally sourced produce and is freshly prepared on the premises. The venue is within easy reach of all of the major wedding venues in the area and there is free private parking on site. This romantic country house hotel has amazing sea views from each bedroom, and offers fine Scottish dining and local seafood in its 2 AA Rosette restaurant. 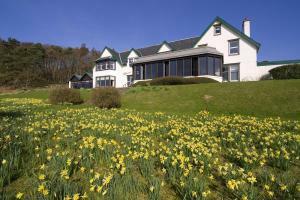 The peaceful Loch Melfort Hotel is next door to the famous Arduaine Gardens, and not far south of Oban. The hotel is perfect for a relaxing, escape, where you will be received with a warm cheerful welcome. The stylish, bright and comfortable rooms have lovely views, and some have patio doors and a terrace. Situated on the shores of Loch Fyne in the Royal Burgh of Inveraray, the hotel enjoys wonderful views across the loch to the Cowal Hills. Originally built as a private house, the Loch Fyne Hotel has been extended to include a leisure club and spa, comprising a 15-metre swimming pool, sauna, steam room and 3 treatment rooms offering a variety of beauty treatments. Clansman Restaurant offers excellent food and service from either the table d'h?te menu or the ? la carte menu. The hotel now also comprises 71 bedrooms including a four-poster mini suite with fantastic views across Loch Fyne, and 6 luxury superior rooms with king-size beds and little extra touches to make your stay special. Once a historic Coaching Inn, now a comfortable Highland hotel situated at the heart of the picturesque village of Taynuilt. The Taynuilt Hotel is within easy reach of the fishing town of Oban (the outdoor capital of the UK), Fort William and Glencoe. It is therefore an ideal base for exploring the area or taking part in some of the many outdoor activities situated nearby. 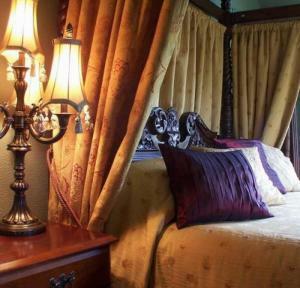 There are 12 comfortable and well appointed rooms, each unmistakably Scottish in style and unique in its own way. For those special occasions, a four-poster room may also be available. 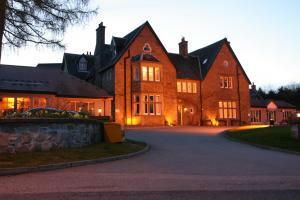 The Glenorchy Lodge Hotel is quickly becoming established as the newest couples retreat in the Highlands of Scotland. Tucked away in the heart of the picturesque village of Dalmally, the hotel is a perfect retreat for those wishing to explore the romantic West Highlands and Islands. Romantic breaks are available all year round, so make time to make some memories together at the Glenorchy Lodge Hotel. Lochgoilhead sits at the head of Loch Goil, a fjord-type sea loch within the Loch Lomond National Park, only one hour from Glasgow Airport. With a special location surrounded by hills, and with superb loch views, Lochgoilhead is an old coaching inn located in the heart of the village. It offers 5 en suite bedrooms all with a TV and tea/coffee making facilities. The hotel is one mile from the Drimsynie Leisure Centre and Golf Course, where guests have use of the swimming pool, sauna, jacuzzi, and steam room, as well as unlimited golf during their stay. Described by our customers as having "the best view in the bay", step back in time and relax in our traditional Scottish family-run hotel. We have been awarded the FHG Diploma for 'Holiday Accommodation of the Highest Standard', and we welcome you to our home and small, family hotel. The rooms are cosy and individually decorated in a traditional style in keeping with the 100 year old building. 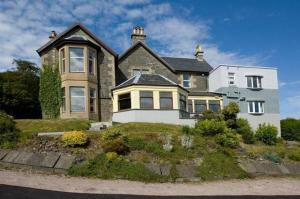 Rooms to the front have magnificent views over Oban Bay. Golf, fishing, horse-riding, sailing and swimming are all available within a short distance. Please note that as the hotel has a 'pets welcome' policy it may not be suitable for people with pet allergies. There is a central, feature staircase in the hotel (no lift), and the lowest bedrooms are on the second floor. As a small family-run hotel, we hope that The Palace Hotel will feel like a home from home. The Royal Hotel stands in the centre of town, close to the harbour and ferry terminal. The central position makes it ideal for visiting the West Coast of Scotland, as well as the Islands of Mull and Iona. With 91 double and single guestrooms, some overlooking the town square, the Royal Hotel offers comfortable, affordable accommodation. Built in 1895, the hotel offers traditional Scottish hospitality and dining with its Morvern Restaurant and whisky lounge bar. In the centre of Oban, ideal for Argyll and the Islands, this small Scottish hotel is one of the town's oldest buildings, with a lounge, small bar and views of the waterfront. A Grade B listed building, Kelvin Hotel has wonderful views over the water towards Mull and beyond. The hotel offers free parking at weekends, and is within easy reach of excellent transport links. The ferry terminal and the bus/train stations are all nearby. Set on the edge of Oban's picturesque Esplanade, boasting uninterrupted views of Mull, Kerrera and the Firth of Lorne, the hotel occupies the perfect spot from which to discover Scotland's West Coast. During your stay you can take advantage of the hotel's superb facilities, including the sprawling sun lounge which stretches the entire length of the hotel. You can also indulge with a visit to the spa, which is complete with an indoor steam room, sauna and massage chair and don't forget the outdoor hot-tub with its breathtaking sea views. Treatments are also bookable (additional cost). The guest rooms have just been extended and lovingly refurbished to the highest standards, and most enjoy stunning sea views. Boasting spectacular views over the expansive Oban Bay, this newly-refurbished Victorian hotel offers convenient accommodation just minutes away from the town centre. Guests can enjoy magnificent panoramic views from the comfort of the beautiful public rooms. The Queens Hotel is situated on the Esplanade, just a short walk from the centre of Oban with its many attractions including boat trips and ferries to the Isles. The Glen Campa Restaurant's ? la carte menu offers the very best of local produce and Sunday carveries, complemented by stunning views. The elegant lounge bar's menu offers a variety of home-made dishes to suit all tastes. With a beautiful, tranquil location on the banks of Loch Long, this luxurious 4-star country house hotel has spectacular views of the Argyllshire hills and the famous Firth of Clyde. Surrounded by some of Argyll and Bute's most beautiful countryside, Knockderryhouse offers luxurious accommodation in a gorgeous, quiet location. All the rooms in the main house have been individually decorated and are furnished with antique furniture and paintings by local Scottish artists, reflecting the history and style of the original house. 4 new rooms have been added in the Leiper Wing. The elegant rooms feature comfortable beds finished with the finest Egyptian bed linen. Hand-made organic Scottish soaps, home-made shortbread and soft, fluffy bathrobes add that little touch of luxury. All the rooms have plasma flat-screen TVs. Most of the rooms have wireless internet access. Cove is within easy reach of Loch Lomond, Loch Fyne and the historic town of Inveraray, yet it is less than an hour's drive from Glasgow and even less from Glasgow Airport. The award-winning restaurant offers traditional Scottish specialities, made using fresh, locally sourced produce from the region's lochs and the rich pasture land surrounding the hotel. With a peaceful, stunning location, fine cuisine and luxurious accommodation, Knockderryhouse is great for a relaxing, restful or romantic break. The family-run Kings Knoll Hotel has magnificent views overlooking Oban Bay and the Sound of Kerrera, and offers free Wi-Fi and a warm welcome to all. Kings Knoll has bright, modern and comfortable en suite bedrooms with panoramic views of either the bay or the town. The bar serves snacks and meals throughout the day and free private car parking is available for all guests. This Victorian hotel was built in 1865 and 1901 of Scottish granite and sandstone. It stands as a landmark on the North Pier, overlooking the town and Oban Bay to the Isles of Kerrera, Mull and Lismore, and the Mountains of Morven. Situated in Scotland's first National Park, this charming guest house is set high above the village of Tarbet, boasting spectacular views over Loch Lomond and towards the western side of Ben Lomond. Set in nearly 7 acres of private gardens, less than one hour from Glasgow, to the north-east side of the house is an attractive woodland which is frequented by deer and other wildlife. This includes a beautiful waterfall which feeds various deep pools on the East Burn, on its way to Loch Lomond. Tarbet House was cleverly designed to take full advantage of the site's elevated position and the stunning Loch views. With this in mind, the lounge and dining areas both have floor-to-ceiling windows, stretching the entire length of both rooms. The views from here are truly breathtaking. Patio doors open out onto a south-facing, decked sun terrace.